This podcast episode features adult themes and content. Please proceed with respect and love. 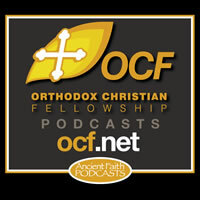 Mother Gabriella, Abbess of Holy Dormition Monastery in Rives Junction, Michigan, speaks at the 2014 College Conference. Mother Abbess Gabriella: Good morning, everybody. [Good morning.] I’m glad to be here with you. Now I was hoping for a better presentation this morning, but I really feel a little nervous right now. Fr. Tryphon is here, recording this right here. [Laughter] Okay, so anyway, I just have to make abstraction of your presence, Fr. Tryphon.